Do you own a dog? If yes then you are not much far from enjoying a healthy life. Your dog can help you stay healthy and cool. In this article, you will get to know how your dog can help you with your health. Following are some of the ways to how your dog can keep you healthy. No need to worry if you have no knowledge of this sort. You will get to know about this in much detail in this article ahead. How your Dog helps you Stay Fit? Have you noticed that spending some time with your dog make you feel delighted? Beside this enjoyment dogs help you live a healthier and a better life. They not only fill your heart with love and happiness but also make it healthy and strong. Your dog can help you a lot in moving with the physical activities. People who own dogs walk almost 5 hours more than those who don’t have dogs. Dogs proved to be the best companion for humans for exercise. Having a regular exercise with your dog will help you lose weight. You don’t need to go to the gym and do tough exercises if you have a dog in your home. Actually, your dog is the best trainer for your health you have ever found. Walking is also a great form of exercise. Walking with your dog for almost 22 minutes daily can be much beneficial for you. A study reveals that walking with your dog can increase your walking speed by almost 28 percent. Dogs tend to be crazy for running. Running with your dog can improve your overall health. It also helps you increase your endurance level. A person who trains their dogs is found to be more active and spend a good time. Training your dogs give you a wonderful chance to create affection between you and your pet. You can keep yourself busy too if you know how to train a dog and implement the tricks. Dogs can easily convert your bad mood into a happier one. Playing with your puppy is one of the funniest and loveliest things in the world. Having a good mood will keep you far from depression. In this way, it also helps you keep away from anxiety and loneliness. They prove to be your best companion. This companionship will take your focus away from your problems and will add years to your life. One of the best things about dogs is that they love to enjoy their present moments and don’t worry about the incident that happens yesterday or are expected to happen a day ahead. They simply enjoy the moment in which they are living. Talking to your dogs can help you get out of many troubles. It helps to increase your inner confidence also. When a dog owner looks into his pet’s eyes the love hormones tend to get into action with the increase of oxytocin in the both, the dog owner and his beloved pet. Dogs help you get connected to other people. 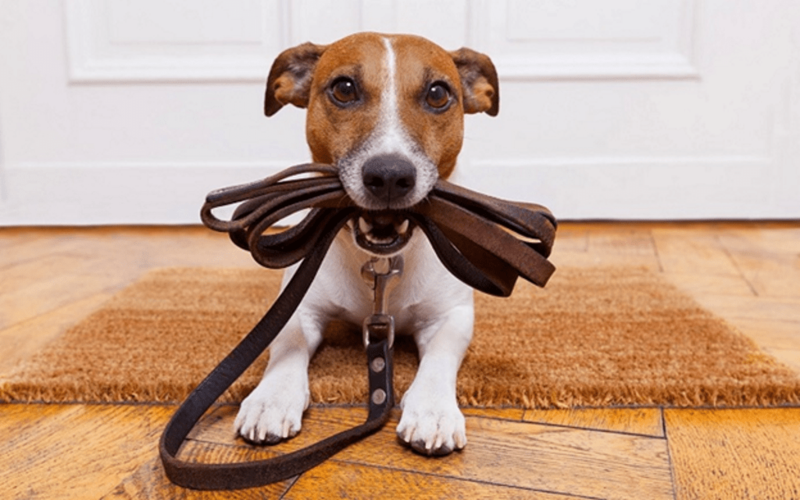 Meeting the people and dog owner while taking our dog out for exercise helps you stay social. They help you in creating friendship and getting social support from other people. Having social connections, helps you live a longer and healthier life by 50% more than the people who are not social. The survey respondents said that owning a pet was the third most popular the common way they get connected with people. Your dog keeps you away from many diseases. Having a dog can decrease your chances of having the cardiovascular disease. Studies reveal that the dog owners tend to have less blood pressure than those who don’t own dogs. It also helps in lowering the cholesterol and the triglyceride levels. Walking and talking with your dogs helps in decreasing your blood pressure. You might have noticed that your dog senses quite easily when you cook some tasty food. They use this sense of smell not only for dinners. Any chemical changes in your body can be detected by your dog by its sense of smell. This is because chemical changes in your body will make your body smell a bit different to your dog. In this way, they will easily detect it. Scientists are also trying their best to make dogs capable of sniffing out the cancer chemicals. You need not only be healthy physically but with your mind also. A healthy mind helps you to focus on things easily. Thus if you have trouble with your social life or your have nay any sort of emotional problems than I would suggest you get ownership of a dog and spend some quality time with your pet. This will help you feel much better.